Simple movements will expose you. Therefore, they should be, and are, all you need to evolve in your body-knowledge. Developing an understanding of what skilled movement patterns require takes patience and commitment. I thoroughly enjoy this process! Lowering repetitions, yet keeping time under tension high has forced me to engage more, mentally. In my profession, the plank allows me to assess where the client is weak. Their limiter could be core-strength, unactivated glutes, poor leg-tension, weak chest, weak shoulders, weak triceps, or an un-present mind. Movements are linked and connected, thus, how you do one thing is how you do everything. Modifications are numerous. The plank can be performed from your knees, or with hands on an elevated bench, chair, or bar. Yoga blocks and parallettes are fun additions. Simple Implementation. 1:00 Plank. 1:00 Squats. 1:00 Walking Lunges. 1:00 Rest. Repeat three times. Free your mind and make it happen. What do you want from life? How will losing weight, finishing the triathlon, going on that hike, or simply having more energy make your life better? Establishing your why is essential to forming new, healthy habits. All change must start from within. The mind is extremely powerful and will win most internal arguments (see what I did there). Where does your motivation come from? Really own this answer. It will help keep you on the path. Think small. Look at your priorities and define short-term realistic goals. The change will be incremental, so start with one habit, work on it day by day until you own it. Move on only when ready. Invest your resources in your chosen mode of movement. Facilitation of activity. Cardio/endurance commitment precedes strength training. Build habits before refinement and instruction. Avoid all diets. If it has a name or title, it won’t last, and you’ll spend a lot of money in the process. Keep a journal. Document how lifestyle choices (food, work, sleep, entertainment, drink, stress, etc.) make you feel. Schedule periods of relaxation during the day. Sleep 7+ hours a night. Be confident and adamant about how you live your life. No explanations. No excuses. You own it, when you no longer feel like you are missing out on your old lifestyle. Movement, the endorphins and positivity it cultivates, is the way. Our life is a game. Play it often and play it well. Don’t take what you do, or the decisions you make too seriously. Do your best. That’s enough. 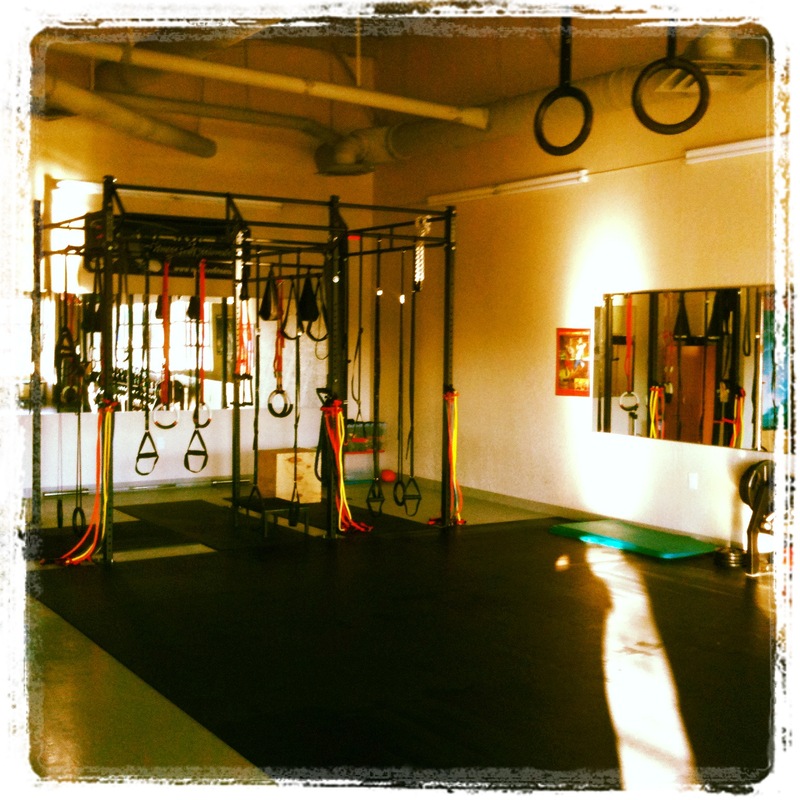 Operating a private personal training studio is a really unique experience. Clients are seeking my services out, knowing a good amount about what I am providing already. This makes the transition from potential client, to active client, a rapid process. Goals are expressed immediately as are opportunities and limitations. The process has begun. Example: I am the initiator of positive change. Last week I was approached by a women in her early 50’s who was very frustrated by the recent changing in her body, brought on by inactivity and the hormonal changes that occur in a females body at that time. She knew how much weight she had gained, where she had gained it, and what additions and subtractions needed to be made in order to succeed. She also knew that a personal trainer or fitness coach was the next piece in the puzzle to initiate positive change. Creating an outline, following a plan, sticking to the schedule will bring success. The hardest part about making incremental positive changes is accountability. When we become adults we have less people to be accountable to. Parents, teachers, and other authority figures are not a part of our daily decision making process. We are free to eat what we want, sleep whenever, spend our time any which way we choose. Our fitness is often one of the first things we lose during this transition to adulthood. It’s the thing that we “worry about later”. Sometimes it is a slap in the face or reality check that is needed to elicit the need for positive change. Everyone needs accountability. Whether that be registering for a marathon, hiring a trainer or coach (health, business, life, financial, etc. ), or even as simple as a book club. In order to move forward their needs to be a direction, and ultimately a culmination of the process. As an athlete that direction is the daily training and that culmination is the race day. Success is the ultimate positive. Commitment is the only way. Get Fit. Be Healthy. Stay Confident.